1. 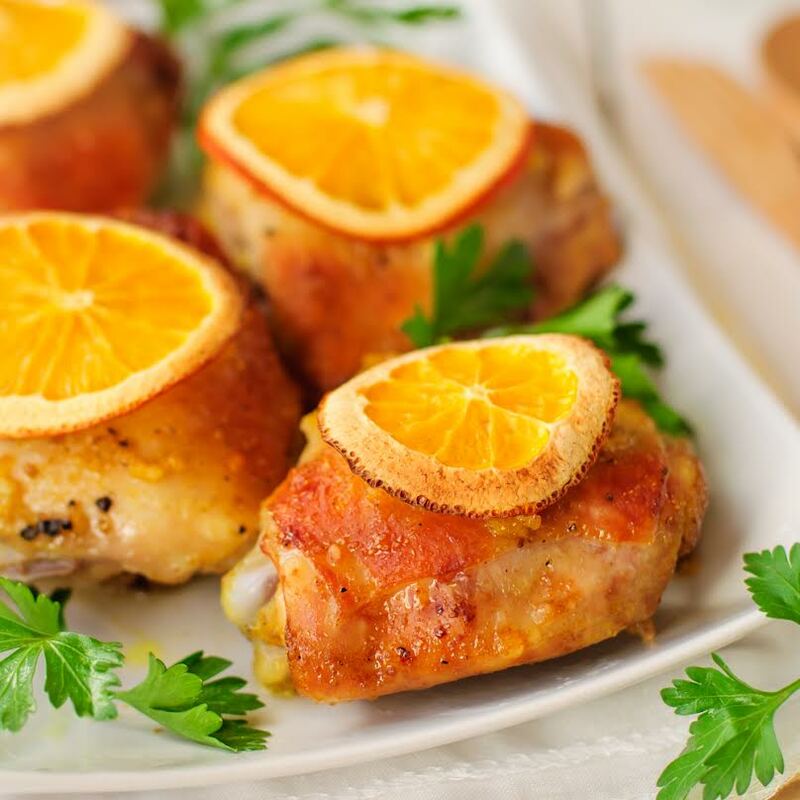 Combine chicken breasts in a 1-gallon size plastic baggie with orange peel, orange juice, ginger and garlic cubes, soy sauce, oil, honey, salt and pepper. Allow to marinate for at least 30 minutes. 2.Once you’re ready to cook, preheat your over to 350 degrees and place chicken along with the marinade in a baking dish with ½ cup chicken broth. 3. Bake uncovered for 45 minutes. 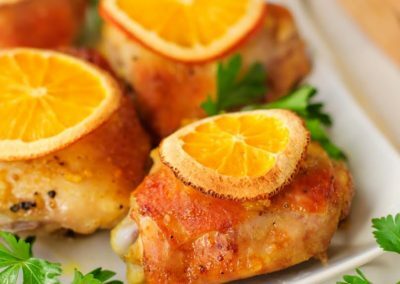 Serve with a slice of fresh orange and rice.